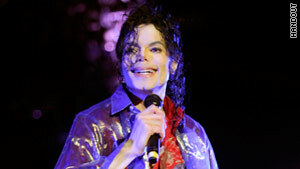 A 2009 handout photo shows Michael Jackson during a rehearsal, two days before his death. Los Angeles (CNN) -- Raw video of Michael Jackson's last days is not covered by laws protecting journalists from court subpoenas, making it likely that Sony will have to let lawyers use its video in their defense of Dr. Conrad Murray, a judge said Thursday. Lawyers for Murray, who faces trial for involuntary manslaughter in the pop star's death, argued that the unseen rehearsal video could show that Jackson was ill and physically weak. Prosecutors contend that Jackson died from an overdose of a surgical anesthetic that Murray gave him to induce sleep. Sony Pictures, which bought the video from Jackson's estate, is fighting the subpoena from Murray's lawyers for access to about 100 hours of video that was used to produce the "This Is It" documentary, released several months after the singer's June 25, 2009, death. The judge has given the prosecution permission to show clips from the movie to jurors during the trial, which is scheduled to start in September, but the defense wants to use video left on the cutting room floor. Since Sony was under a contractual obligation with the estate to not use anything that showed Jackson in "a negative light," the unused video may be helpful to the defense, Los Angeles County Superior Court Judge Michael Pastor said. The judge gave Sony a week to work out technical details with the defense for a way they can view the raw video without the risk of it leaking. Sony's lawyer said the public release of the raw video could hurt the studio's plans to use it in other productions, such as an anniversary edition of the documentary. "If they become part of the public record as an exhibit, we have a whole different problem," Sony attorney Gary Bostwick said. "That would immediately become viral on TMZ or some other website." Defense lawyers were ordered to narrow their subpoena request for the video, which Pastor called "remarkably over-broad." Michael Jackson hired video photographers to record his rehearsals as he prepared for his comeback concerts in London, scheduled for July 2009. His estate later sold the video and documentary rights to Sony for about $80 million. Jackson was pronounced dead by an emergency room doctor at Ronald Reagan UCLA Medical Center. The Los Angeles County coroner ruled that his death was caused by an overdose of propofol, a powerful surgical anesthetic, in combination with "the contributory affects of the benzodiazepines." Murray, who was hired as Jackson's personal doctor in the months leading up to the concert, was later charged with involuntary manslaughter in his death. "Michael is not with us today because of an utterly inept, incompetent, reckless doctor, the defendant Conrad Murray," Los Angeles County Deputy District Attorney David Walgren said in his final arguments at Murray's preliminary hearing in January. Murray's lawyers suggested that a frustrated and sleepless Jackson may have self-ingested the fatal dose while the doctor was out of his bedroom. The defense is hoping the raw video will show Jackson's weakness and frustration as the concert dates neared.